Kaohsiung, Taiwan, November 23, 2017 - Advanced Semiconductor Engineering, Inc (ASE, TAIEX: 2311, NYSE: ASX) today announced it has received several awards at the TCSA (Taiwan Corporate Sustainability Awards) ceremony. 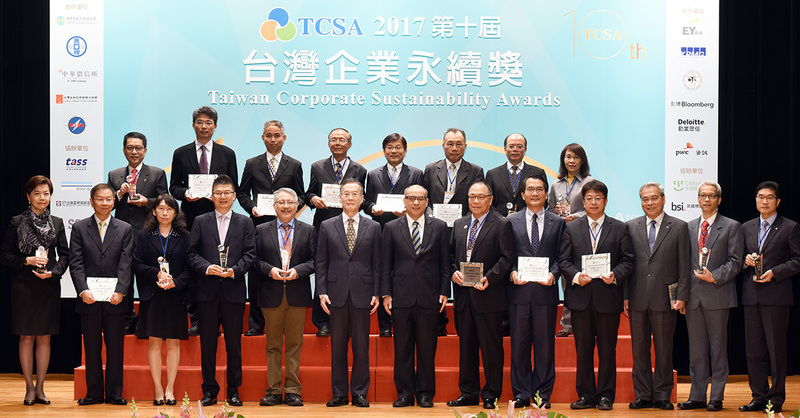 The TCSA is an annual sustainability award program that awards local and foreign enterprises’ outstanding efforts in sustainability development issues and is organized by the Taiwan Institute for Sustainable Energy (TAISE). ASE is honored to be presented with these awards that recognizes the company’s continuous contribution to corporate sustainability through its innovations in products and technology, conservation of the environment and conscientious management in supply chain, corporate go vernance, compliance and human rights. For more information, please visit TCSA and TAISE.